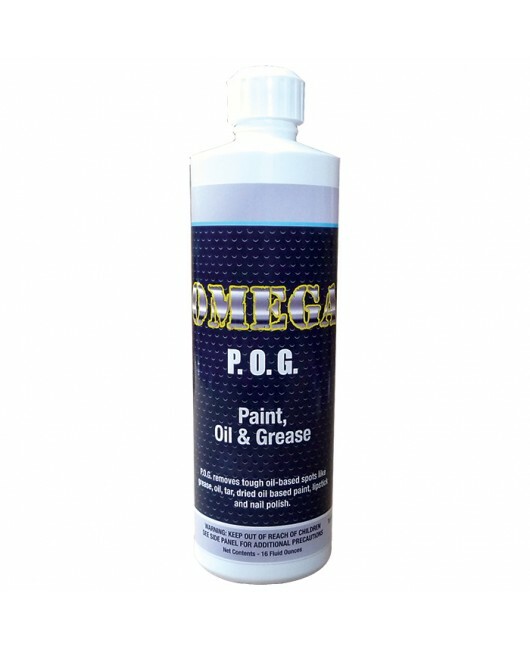 Our paint, oil and grease remover is an advanced dry solvent that can be rinsed with water or be removed by bonnet cleaning with Bonnet Pro`s encapsulation products and is less hazardous than other P.O.G. products. Our P.O.G. can remove tough oil based spots like grease, oil, tar, dried oil based paints, lipsticks, nail polish and some adhesives.